Dragon Dictate Medical . Software from Nuance from Ireland and UK. 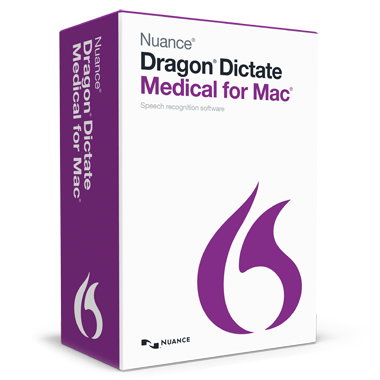 Software from Nuance - Dragon Dictate Medical . Nuance Communications is an American multinational computer software corporation that has deleloped a number of software applications. Its headquartered are in Burlington and the company provides speech and imaging applications, including .Dragon Dictate Medical . Dragon Dictate Medical for Mac is a speech recognition solution that enables a clinician to quickly capture comprehensive clinical documentation while spending more time on what matters  their patients. Dragon Dictate Medical for Mac streamlines documentation workflow by allowing clinicians to dictate appointment and medical record notes directly. Dragon Dictate Medical for Macs accurate speech recognition technology adapts to the users voice and words, with customizable vocabulary and commands and an easy-to-use interface. Spend less time typing and more time with patients.